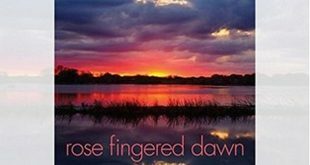 Rose Fingered Dawn, concentrates on telling the stories behind the lyrics, desiring to touch listeners emotions. 'For Those Who Came Before: Songs of Resistance from the Spanish Civil War' from Barbez and Velina Brown, is an amazing example of how music over 80 years old can not only be relevant today, but sound just as exciting and stirring as it did when originally written. Giacchino creates another stellar musical score where he holds his own compared to others in the film series (Danny Elfman, James Horner, Christopher Young, etc.). Another set of relaxed moderate rock, with a bit of country and balladry, from the 77-year-old drummer. Straight-ahead but rough-edged and with quirky lyrics, Lisik's songs are self-aware with a sometimes tongue-in-cheek attitude but nonetheless soaked in real feeling.